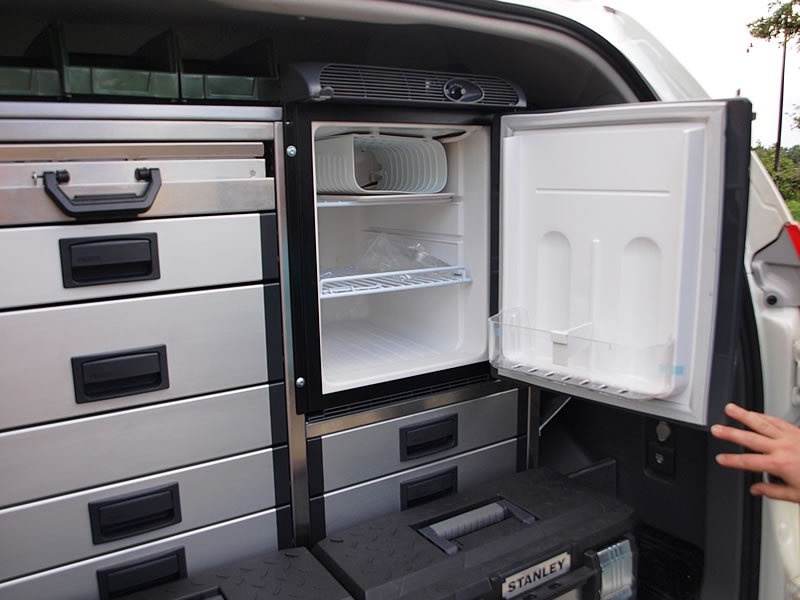 Recently have we realized aluminium built in system into Toyota Landcruiser that is used as a mobile veterinary clinic. From the first design to final assembly – modern, light and noice free aluminium furniture. 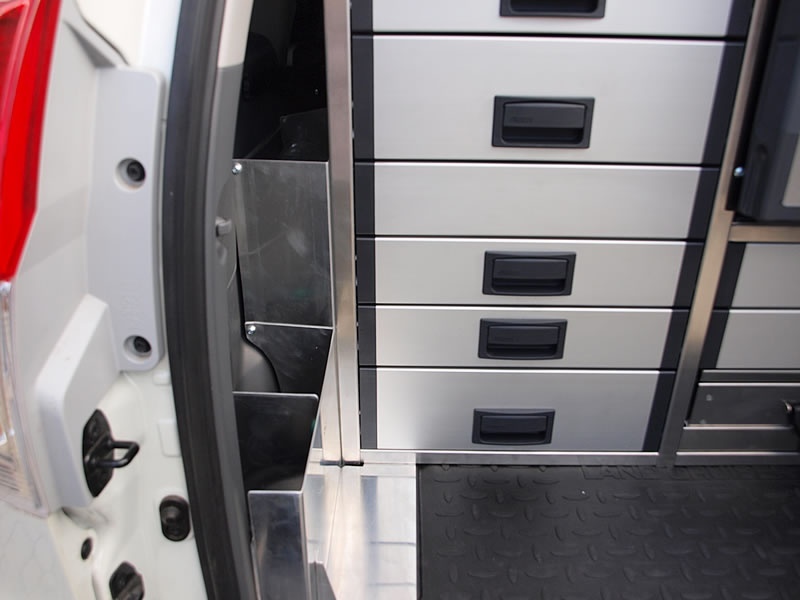 The complete realization included initial proposal along with adjustments based on the customer feedback, transfer into a graphic form and after that the actual installation of the aluminium furniture into the vehicle. The built-in system consists of a drawer module with travels and lock against unintentional opening, built-in shelves and removable cases. On a special customer request we also installed a refrigerator for medicaments, where we changed its front panel design to unify the built-in design. 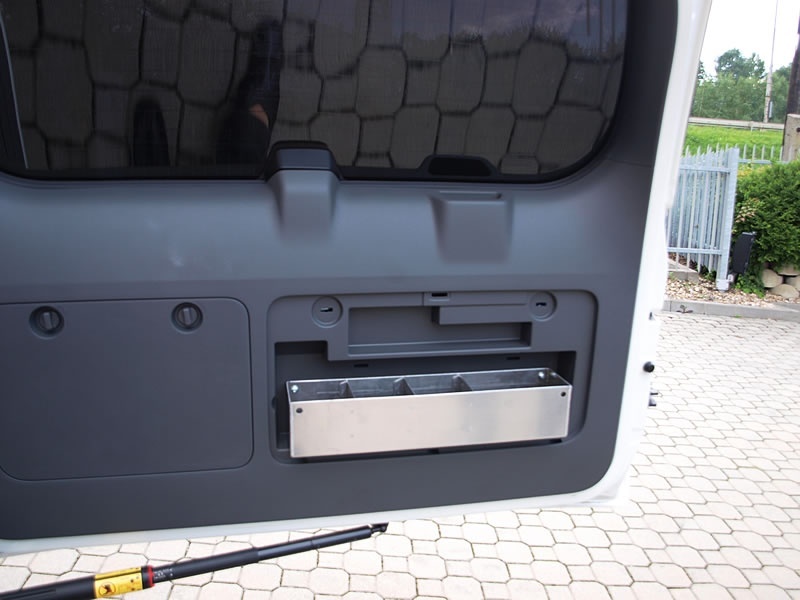 In the side sections of the vehicle utility space we have constructed and installed boxes in order to fully use of space at the rear wheel arches and at the vehicle doors. 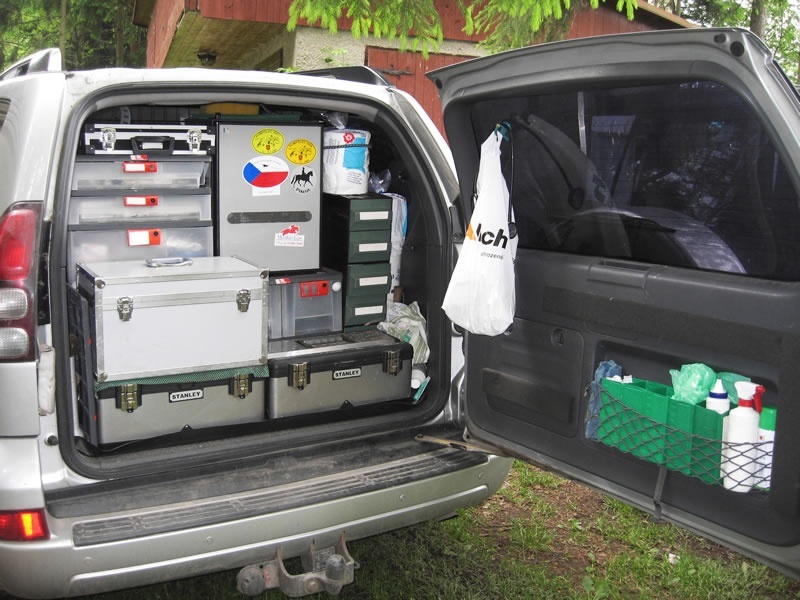 For easy transfer of equipment and tools, the space at the rear door was completed with two professional Stanley tool cases. For the realization we used aluminum furniture, meeting the highest demands on functionality, comfort and modern design. 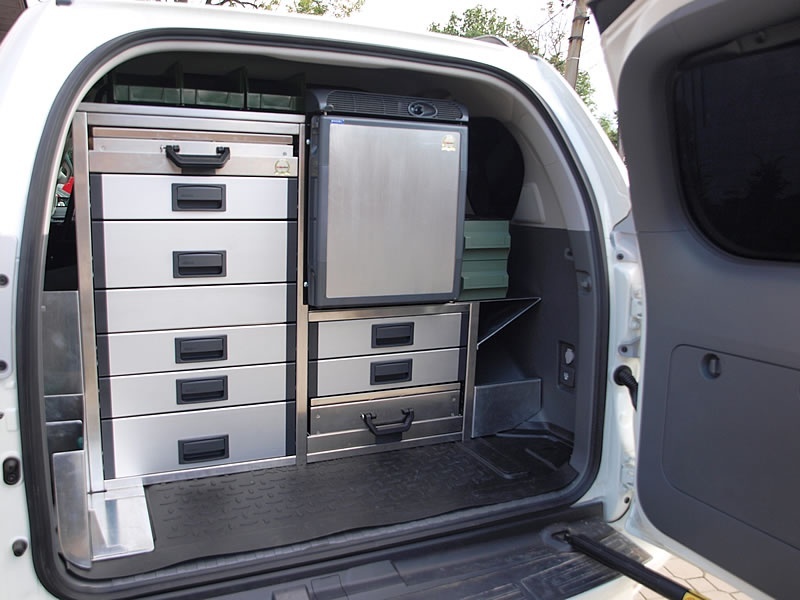 This built-in mobile clinic for vets is a nice example of the options built-in car systems offer - by far they are not limited to equipment of assembly and service vehicles as mobile workshops, but also find its application in completely different fields. Are you interested in more information? Visit our web page dedicated to vehicle built-in systems.